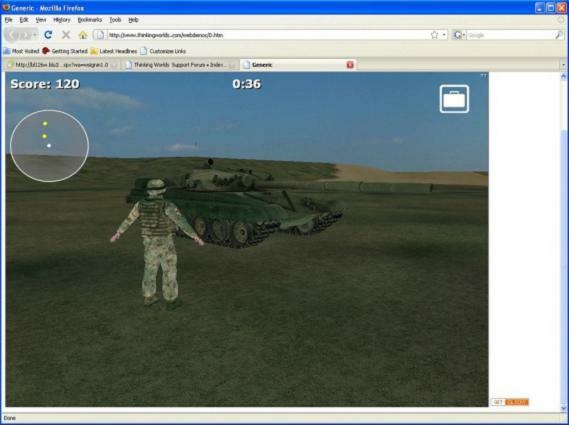 London, UK, 18th May 2010 - Summary: Bohemia Interactive and Caspian Learning announce a formal partnership which will help shape the future of the military simulation and serious games market. Bohemia Interactive, the foremost military Serious Games organization and Caspian Learning, the leading rapid simulation and Serious Games company are forging a formal partnership that will bring exciting new offerings to military markets around the world. Given the technology and heritage of both organizations, this strategic venture will herald new offerings to the military sector and help to solve current training and simulation issues experienced by defence customers. Bohemia Interactive has been serving the military simulation community for almost a decade, and will bring its gold standard and industry leading simulation product “VBS2” to the partnership. 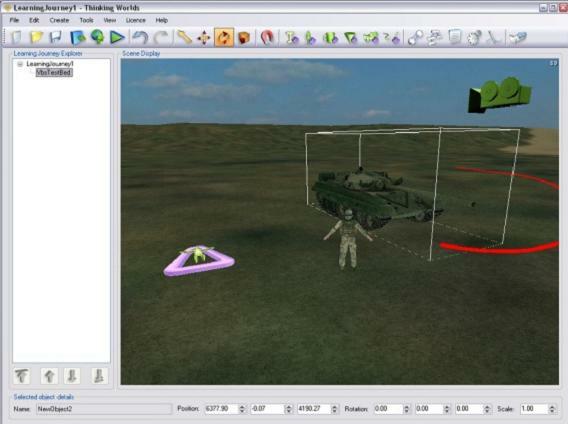 VBS2 – Virtual Battlespace 2 – is a fully interactive, three-dimensional, PC-based synthetic environment specifically developed for military training, mission rehearsal and analysis. Caspian Learning will bring its multi award winning and globally unique 3D simulation authoring software and engine, Thinking Worlds, to the partnership. Thinking Worlds will enable the strategic venture to capitalize on both the true thin client delivery mechanisms of Caspian’s core technology and the rapid simulation and scenario editing capabilities of the authoring interface. The fusion of the current gold standard military Serious Games product – VBS2 – with the thin client and rapid development cycle of Thinking Worlds, will be a powerful and compelling proposition to defence clients around the world. The first step results of fusing the two technology platforms together will be showcased at ITEC this year, in booth E120. The benefits of blending high fidelity 3D simulation with rapid scenario generation and thin client delivery will be available for all to see. Founded in 2002, Caspian Learning is the developer of the multi award-winning 3D authoring tool Thinking Worlds. Caspian Learning’s Thinking Worlds uses globally unique technology that allows instructional designers to create fully immersive 3D simulations at costs previously restricted to 2D development. By utilizing Thinking Worlds, Caspian has positioned itself as the global leader in the use of 3D games and simulations technology within learning, having developed over 50 applications for clients such as IBM, BBC, QinetiQ, Volvo, The Ministry of Defence and the European Union. 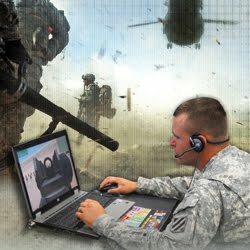 Bohemia Interactive Simulations is a world leader in providing simulation and integrated training solutions for military organizations. With origins in the gaming industry, Bohemia successfully exploits game-based technology and applies this to breakthrough, military-specific simulation products. Our primary focus is the development of the Virtual Battlespace (VBS) series, which is used in daily training and mission rehearsal by premier military organizations worldwide including the ADF, Canadian Forces, UK MoD, US Army and USMC.